The Vans Joel Tudor Duct Tape Invitational longboarding series will be heading to the island of Hainan, China November 10-11, 2018 and for the first time in Duct Tape history, the invitational will present both men’s and women’s divisions. 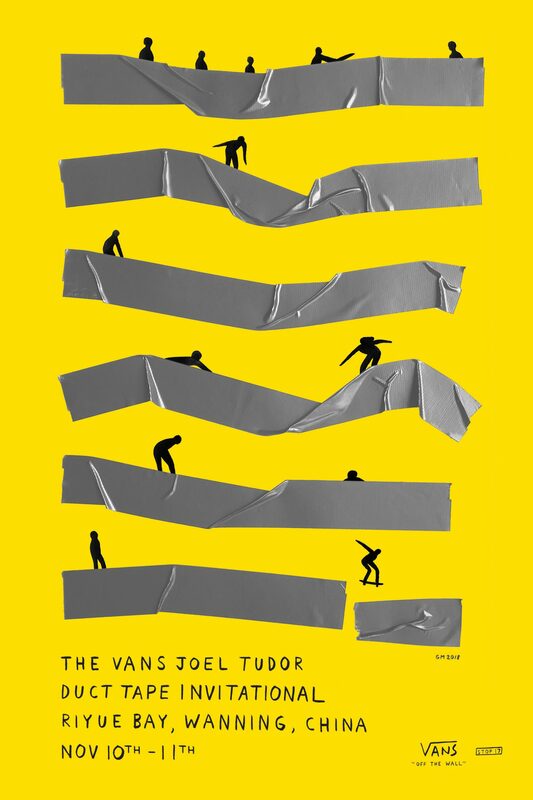 Vans Joel Tudor Duct Tape Invitational longboarding series heads to a brand new location on the island of Hainan, China November 10-11. For the first time in Duct Tape history, the invitational will present both a men’s and a women’s division, showcasing a diverse group of progressive surfers from around the globe. The Duct Tape Invitational longboarding competition in Hainan will encourage each16-person division to emphasize their style and creativity in a traditional surfing aesthetic. Contest director and surf icon Joel Tudor will gather 32 of the world’s most innovative longboarders to meet in Hainan’s renowned Riyue Bay, the birthplace of Chinese surfing. Running on a two-day window beginning November 10, the 17thedition of the Vans Joel Tudor Duct Tape Invitational will welcome previous 2018 DTI winners Honolua BlomfieldandAndy Nieblasto surf alongside regional wildcard riders Yuzuru Shinjo,Tie Zhuang,Monica GuoandTimmei Chou. The Vans Joel Tudor Duct Tape Invitational in Hainan will also introduce several new faces to the longboarding circuit, includingBlake Michaels,Grant Noble,Lola MignotandVictoria Vergara. The Vans Joel Tudor Duct Tape Invitational in Hainan, China marks the 17th event in the international Vans Duct Tape contest series, reinforcing a global platform for longboarding specialty and providing a unique festival atmosphere for today’s most progressive longboarding icons. For more information, visit vans.com/ducttape and follow @vanssurf for updates on the 17th Vans Duct Tape Invitational in Hainan, China.